Do you want a way to easily set up automatic tithe payments? Or maybe you want to donate some funds to the church but forget until the most inconvenient times? Online giving is now available with Kilgore Church of the Nazarene. 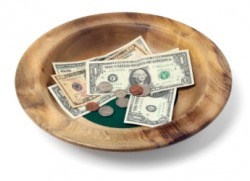 If you wish to set up a recurring tithe please select Tithing. If you want to donate a one time gift select One Time Donation. Thank you for helping us further the mission of Christ.